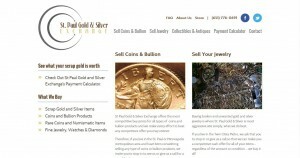 St Paul Gold & Silver Exchange address, phone, website, hours of operation, and more. 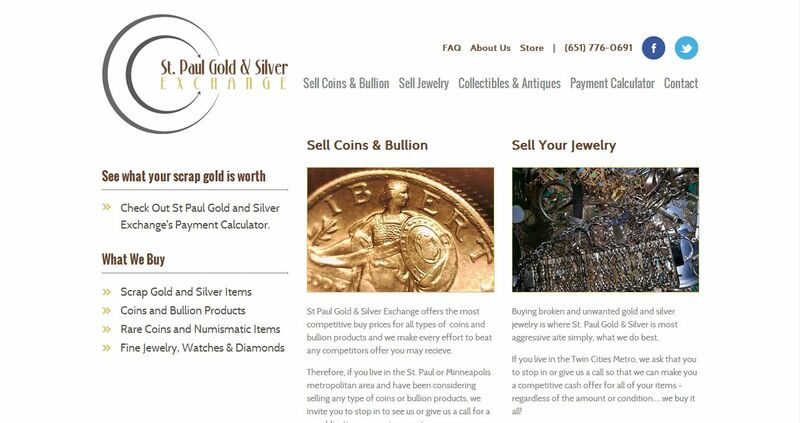 St Paul Gold & Silver Exchange is a partnership of two Twin-Cities locals who for the past 6 years have worked as coin and precious metals wholesaler buyers. After several years of buying gold and silver at the wholesale level from local pawn brokers, gold buyers and jewelers, we decided to open a brick and mortar location that would allow us to offer a fair and honest price to the public for any gold or silver items they may have. What makes us a little different is that we run a no-nonsense business model and have cut out any unnecessary expenses. We do not have a bloated sales staff (in fact, it is just us two), we own our building outright, so we do not have an expensive lease or mortgage payment and we put up all of our own buying capital, so we don’t have to pay carrying costs on our money. Another thing that makes us a little different is that we will never use gimmicks like: “First time sellers get 20% more for your gold”. The prices we alwasys offer are higher than any of our competitors….even with their little coupons. In fact, it always struck me that they could pay 20% more than normal anyway. Ask yourself this….if they can offer 20% more than normal, then how much are they usually making? Doesn’t a 20% profit margin seem like alot to begin with? It did to us, and was one of the main reasons we decided to compete with these guys. Of course every precious metals buyer in the metro claims to pay you most for your gold or silver items, we urge you to check around to see who is telling you the truth. We will gladly give you our current buy prices for anything you have and even have a payment calculator and coin buy price list right on our website. This ensures that everyone gets the same price and that we offer a transparent and honest price everytime you deal with us. Call any of our competitors to see if they will give you a quote. If they do, we are confident that the price we offer will be better and in many cases will be much greater than any price they are willing to pay!